iPhone backups are often a burden but are necessary. When did you last back up your iOS device? Backups made by iTunes are prone to errors and marred in inconvenience while backing up with iCloud often requires more free space than the 5 GB you are entitled to. 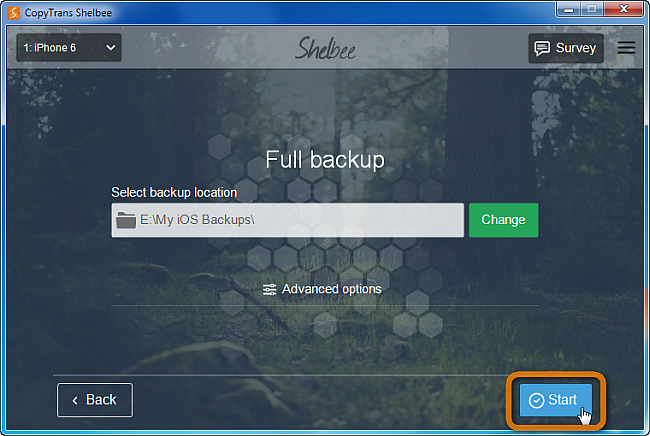 This tutorial demonstrates how to back up iPhone to PC reliably, at a convenient location and for free with CopyTrans Shelbee – all without the need for iTunes. Let’s start. 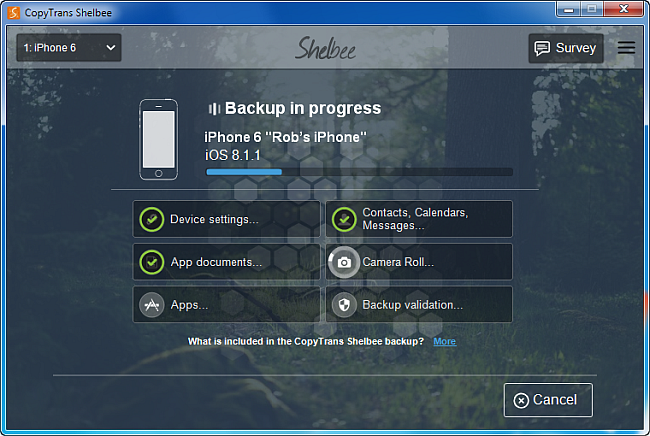 CopyTrans Shelbee backs up iPhone apps including app documents, iPhone messages, contacts, calendars and camera roll as well as iPhone settings. If you back up for the second time, use the “Latest changes” feature instead. 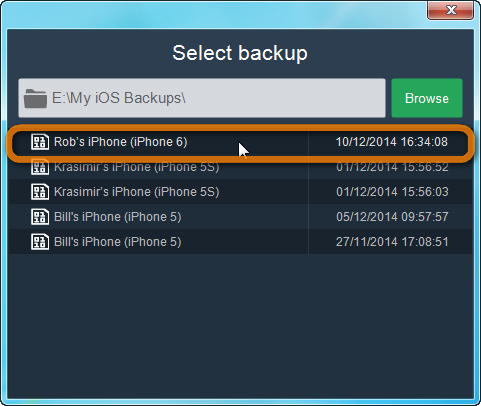 The “Latest changes” feature allows you to create multiple backup entries for one and the same iPhone. 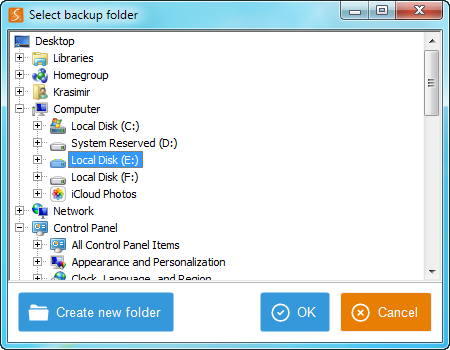 This way, you can create an ample amount of backups to choose from when the time comes to restore. iTunes, on the contrary, overwrites previous backups. 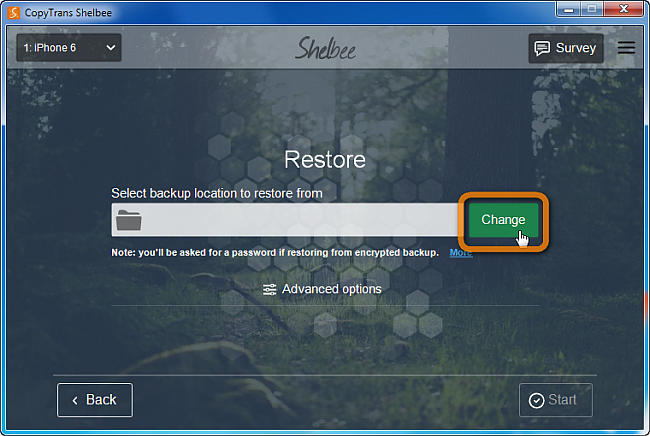 Select the location where you’d like to save the backup by clicking “Change”. Unlike iTunes, you can choose to backup wherever you want. You can even save the iPhone backup on a USB stick. That’s it! You successfully backed up your iPhone. The backup is saved in an analogous way to the way iTunes backups on your PC are saved. 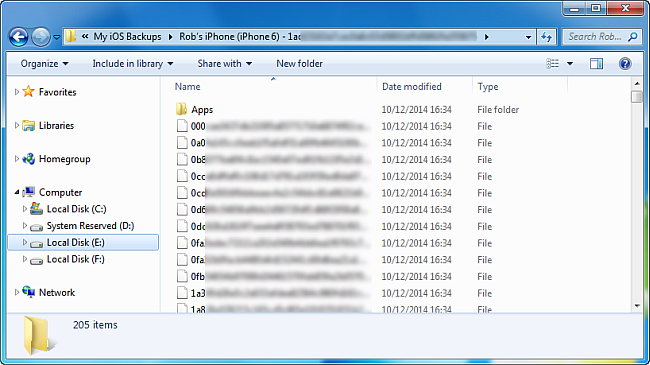 In addition, the backup folder contains your iPhone apps. 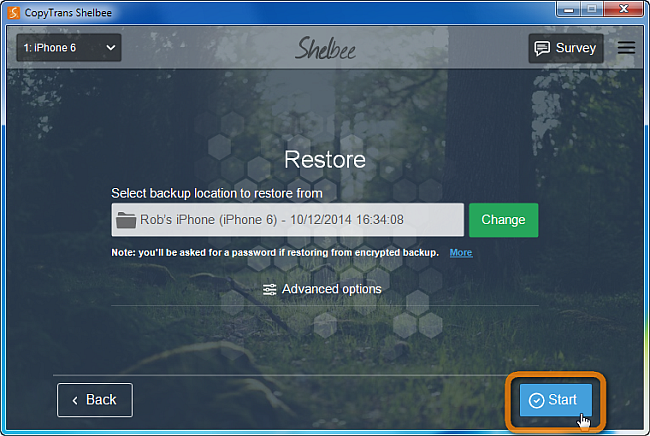 Restoring iPhone with CopyTrans Shelbee is equally easy. If you saved the backup to an external drive or a USB stick, you can even restore it from another PC! Click “Start” to begin the restore operation. 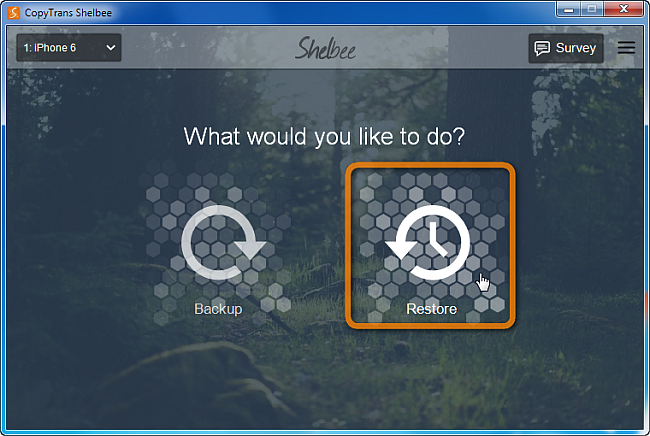 It is as easy as it gets to backup and restore iPhone with CopyTrans Shelbee.